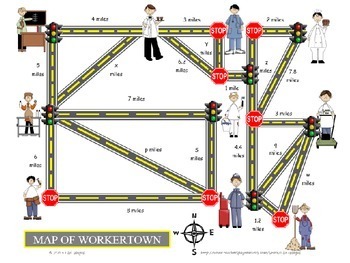 This is a Pythagorean theorem activity that asks students to look at maps and find the distances from local businesses on the map. There are different types of questions, some of which ask for a missing leg and some that ask for the hypotenuse. 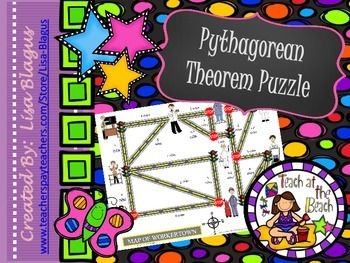 Students will need to have the background of the Pythagorean theorem vocabulary. 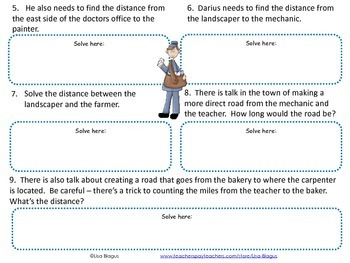 This could be done as a group assignment or even individually. Includes an answer key!